People are like animals. Some are happiest penned in, some need to roam free. You go to recognize what’s in her nature and accept it. Sometimes it didn’t matter how much gumption you had. What mattered were the cards you’d been dealt. I was so worried that people wouldn’t like me or my story. 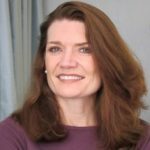 Jeannette Walls was born in Phoenix, Arizona, USA. She is an American author, columnist, journalist and novelist. Early in her career Walls interned at a Brooklyn newspaper called The Phoenix and eventually became a full-time reporter there. From 1987 to 1993 she wrote the "Intelligencer" column for New York magazine. She contributed regularly to the gossip column "Scoop" at MSNBC.com from 1998 until her departure to write full-time in 2007. She has also written for Esquire and USA Today. She has written several books include: The Glass Castle (memoir, Won- Christopher Award and American Library Association's Alex Award), Half Broke Horses (novel), Dish: The Inside Story on the World of Gossip, and The Silver Star (novel).